Potty-trainging little T.Puzzle has become the bane of my existence. I’m giving it until the end of this week and then either I’m going to go on a huge bender (you are more than welcome to join me) or I’m putting him back in pull-ups. I can tell there has been some maturation and progress on his part (ironically, my maturation and progress seems to be diminishing). He only screams and cries for a minute or so before he starts telling me that ‘I not poop!’ or ‘the poop is hiding, Mommy!’ Before, he would just scream and cry the entire time I left him on the potty. 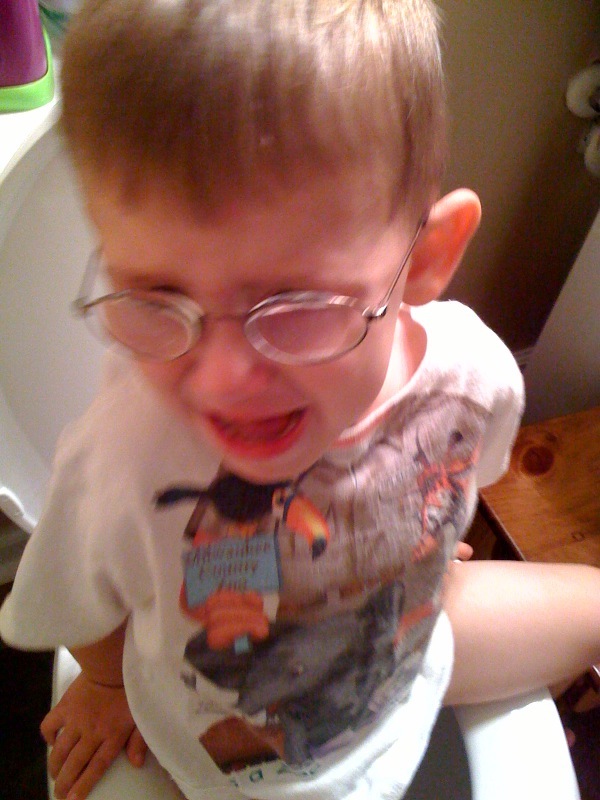 He also told Mad Dog while we were at a movie this weekend that he had to pee. They raced to the bathroom and made it in time. So this is moving in a positive direction. However, the pooping (oh! the pooping!) is still not clicking. I mean he still is pooping just mostly in his pants. As I was putting away laundry and fussing around the house, I came across him sitting next to his brother watching Frack play computer games in dirty, wet underpants. Apparently, he could care less about how disgusting that really is. Thus, my huge bender approacheth!